A valet company that did nothing to stop its drivers from cutting through alleys, barreling illegally across lanes of traffic and engaging in other reckless actions will pay $38 million to the bicyclist who was seriously injured by one of its employees. 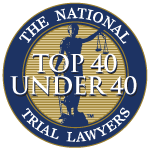 According to The Seattle Times, injury attorneys for the bicyclist won the multi-million dollar case for their client after he suffered a traumatic brain injury, shattered hip, broken ribs and internal injuries. To this day, he can no longer ride a bike – which he used to do every day to and from work. In fact, he can’t even walk more than a short distance without the aid of crutches. Once an employee of the city’s traffic division, he is now permanently disabled. In addition to the surgeries and medical assistance he’s already needed – which has amounted to nearly $430,000 by the middle of 2015 – plaintiff is likely to need four or five more surgeries, his attorney explained. At trial in Washington State, where the incident occurred, defendant valet company (a company that made $129 million in profits during the first three quarters of last year) had tried to argue the cyclist was at least partially responsible for his own injuries because he didn’t act sooner to the car crossing the street. 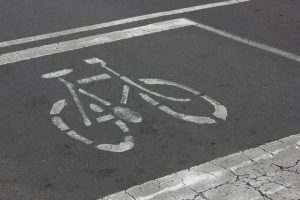 But the car, driven by a 21-year-old employee of defendant, was reportedly moving across two lanes of travel at a perpendicular angle when he struck the cyclist. Jurors sided with plaintiff. News reports of the incident reveal the plaintiff cyclist was riding his bike in a shared lane marked with “sharrows.” This is intended to alert motorists to the fact that bicyclists may be regularly using the lane. However, drivers with the valet service were reportedly under significant pressure to drop the cars off and pick them back up for customers at a nearby hotel. The cars were parked at a lot off-site. If the drivers were to obey all traffic laws on the shortest route from the hotel to the off-site parking, they would have to travel through at least four intersections. But that’s an awful lot of stopping and looking both ways or waiting for a traffic signal to change. So instead, drivers started taking an illegal shortcut, moving through several alleys and then across several lanes of traffic on one nearby street. It was on this street plaintiff was struck in this bicycle accident. Although the valet company reportedly didn’t direct its drivers to take this shortcut route, it also didn’t prevent them from doing so either. Plaintiff presented evidence that the company had received complaints about drivers operating recklessly through city streets before, and yet took not action to rectify this problem. In fact, they didn’t even take action after this bicycle accident happened, and drivers were still observed carrying out this same practice. Drivers were reportedly not given any safety instruction in the hiring process before they were handed customers’ keys. While the company in this case was found directly liable, this case might also have moved forward on a claim of vicarious liability. That is, even if the company isn’t negligent in any way, it can be liable for the negligent actions of its employees based on the legal doctrine of respondeat superior.